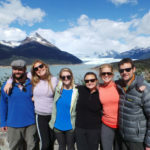 Every year Travel + Leisure magazine assembles their Travel Advisory Board / A-List, a select group of travel company owners and operators “of the country’s most important agencies.” We are proud to share that Knowmad founder Jordan Harvey has been recognized by Travel + Leisure as the best Chile and Argentina travel advisor for the fourth year in a row! Below, Jordan chats with us about some of South America’s new hotels, a few new excursions he’s excited about at Knowmad, and why working with a travel advisor can help you get the most authentic experience abroad. Jordan, tell us about some properties that are new to the scene in South America this year. In Argentina, Puerto Valle Hotel, opened this year in the little-visited Esteros del Iberá area in northeast Argentina. It is an awesome place for wildlife lovers, combines nicely with Iguazu Falls, and with just 10 rooms it facilitates a very special, intimate stay. The setting is absolutely fantastic; you’re able to take a sailboat to Laguna Valle from the property to see capybaras, alligators, birds and more. Puerto Valle also offers horseback riding, trekking excursions – where you will likely spot the Caraya monkey, and cooking classes. A few new hotels opened up in Chile this year, and among them is the Hotel Altiplanico in the Bellas Artes neighborhood of Santiago. This hotel combines classic features from its original 1909 home structure with modern, luxurious elements like in-room fireplaces, interior gardens and high-tech amenities. It’s a wonderful place to stay if you plan to spend a night or two in Santiago in between visits to Patagonia, San Pedro de Atacama, Wine Country and/or other regions of Chile. In Peru we’re really excited about Palacio Manco Capac in Cusco. With only 5 rooms this hotel is a hidden gem that I LOVE. You just feel like you’re at home here, albeit in your ‘I’m an Incan Emperor and this is my royal retreat’ – type of home! This property is the perfect mix between locally authentic, intimate, and high-end. In Ecuador & The Galapagos Islands there are a few new expedition style cruise ships, one of which is the MC Petrel. It is a really spacious 16-passenger ship that is a catamaran, ensuring ultimate stability. I love this boat and I’m pretty confident that once I’ve had the opportunity to see the other two this will still be one of my favorite new expedition yachts for 2016 in the Galapagos. It sounds like there are a lot of new places we need to add to our bucket list! Are their any new excursions, culinary experiences and/or cultural experiences that you are particularly excited about this year? As Perito Moreno Glacier in Argentina sees more and more travelers each year it becomes harder to make a visit to this stunning glacier feel off the beaten path and unique. The remote Estancia Nibepo Aike has become an excellent authentic hacienda lodging experience, and it happens to have its own pier where there is now a small boat that we use to cruise through the icebergs before a brief hike and then continuing by boat to Perito Moreno through the backdoor, so to speak, which creates a truly intimate and unique experience at this iconic site. In the San Telmo neighborhood of Buenos Aires, Argentina we have put together an experience that blends a traditional city exploration with a food/cuisine-oriented exploration. This is a great way for travelers to explore the influence of history and culture on traditional cuisine, as they taste choripan, churros, medialunas, etc. in different restaurants/shops/markets that have significant historical tie-ins. It’s a cool, interactive way to experience the city in a more hands-on, unique, and sensory way. We are looking forward to a couple new excursions in Chile this year as well. In May, there will be hot air balloon rides over the Atacama Desert. We’re really excited as this is such a surreal and vast landscape that we feel this will become the be-all end-all hot air balloon experience worldwide. 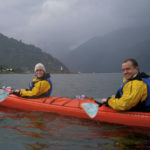 A more off-the-beaten path experience in Chile that we are delighted about is our private Andes Lakes crossing trip. By boat, you will cross from Bariloche to Puerto Varas while enjoying a chef-curated picnic and the option to complete little-known hikes along the way. It really is an exceptional offering. 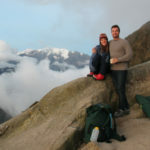 In Ecuador we have created a new lodge-to-lodge trekking trip in the Cotopaxi Volcano area. This trip features mountain lodges as well as haciendas and brings you to several breathtaking sites. Stunning solitude. 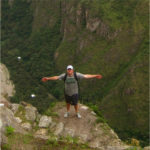 In Peru, I am super excited about the Quillarumiyoc + Zurite Terraces Hike / Mountain Bike in the Sacred Valley. Quillarumiyoc, “the place of the moon stone” in Quechua, is a remote Incan ceremonial site little-known to the public that sees few to no visitors daily. We’re finalizing a day trip from the Sacred Valley or Cusco that involves an easy to moderate hike to the site featuring unique stonework, as well as the option to hike or mountain bike from here to the largest agricultural terracing site worldwide, Andenes de Zurite. This will be a completely off-the-beaten path excursion in the Sacred Valley from Moray (the Incan Laboratory site) to Maras (ancient salt pans). Another fun experience to fold into a larger Peru trip is this new culinary excursion that really explores Peruvian cuisine from the ground up. We’ve worked with the chefs from El Albergue de Ollantaytambo’s restaurant to do an awesome farm-to-table gourmet experience, gathering products from local villagers and using them as part of a cooking class and meal. 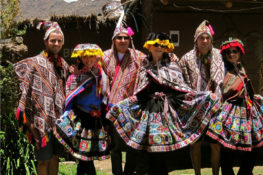 As a reminder, we create private and custom trips to South America with the traveler’s interests and travel style in mind. Therefore, if you’re interested in one of the travel experiences above (or a variation of) then give me a call at 612-315-2894 or email me at Jordan@knowmadadventures.com so we can collaborate on the perfect South American adventure for you. Those off-the-beaten path excursions sound amazing! I’m interested in calling, but I’m wondering if there is only a certain type of traveler you work with at Knowmad. Great question. 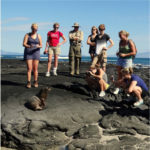 At Knowmad we work with a wide range of people, from honeymoon travelers seeking big adventure and a light mix of luxury to the gastronomical-obsessed, travelers interested in cultural exchange and education, history buffs, those who love luxury hotels and experiences paired with light adventure and more. I think one of my best skills as a Trip Specialist and travel advisor is that I am intuitive. My broad range of interests and experiences allows me to relate on a personal level to different types of people, and plan THEIR perfect journey. There is no one perfect journey as everyone’s is different. It’s my job to uncover each client’s ‘perfect’ and create something that not only aligns with it, but also something they themselves could not have imagined. Why do you believe working with a travel advisor will ultimately give the most authentic experience abroad? We are regional specialists here at Knowmad, meaning we focus on one particular area of the world, South America. By focusing on a specific area we have been able to experience all of the destinations in which we operate, in some cases we have lived there and in all cases we are not just colleagues with those that we work with in South America, but dear friends. We have spent the time to truly understand each travel experience we create, and that’s why we know which trip flow works the best in a specific country or which excursion will be the best fit for your travel style. Thanks for all of your wonderful insight Jordan and another big congratulations on the accolade!